Contact info@scrippsranchnews.com for more information. 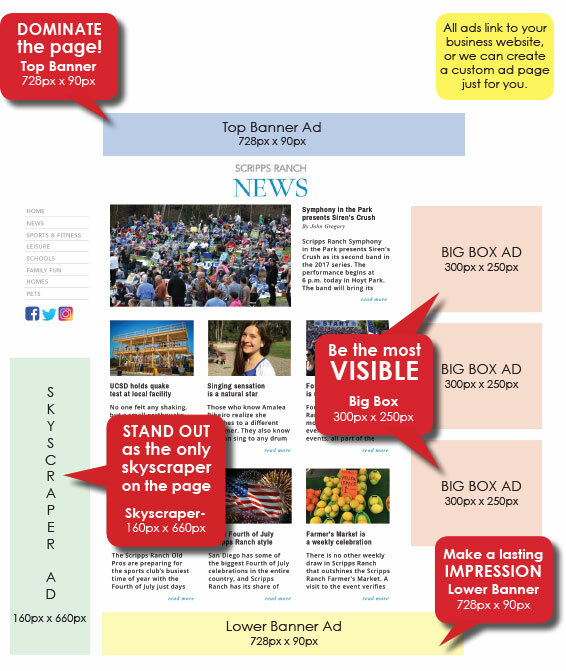 Scripps Ranch News can design your ad at no additional cost. Please provide your logo, copy and photos (if applicable). If there are more than three revisions, an additional $100 fee will be applied. Scripps Ranch News also provides website development and graphic design services. Contact jacqueline@scrippsranchnews.com for more information.